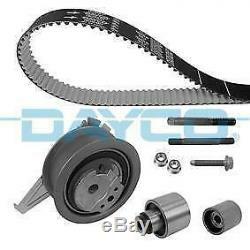 Dayco timing belt kit, set serrated straps ktb884. This product page has been automatically translated. If you have any questions, do not hesitate to contact us. What you need for your vehicle, at a great price! Timing belt kit, kit ktb884 timing belt. The item includes the following: 1 belt strap kit (941074); 1-deflection / roller, belt (atb2232); 1-deflection / roller, belt (atb2571); 1-auto tensioner, belt (atb2652). From the industrial area of ​​acquaro pip, miranda 86080 (is) -partita iva 07261861210-tel. 0865 19 45 139-fax 0865 19 40 142. The item "dayco timing belt kit, set serrated straps ktb884" is on sale since Sunday, July 15, 2018.